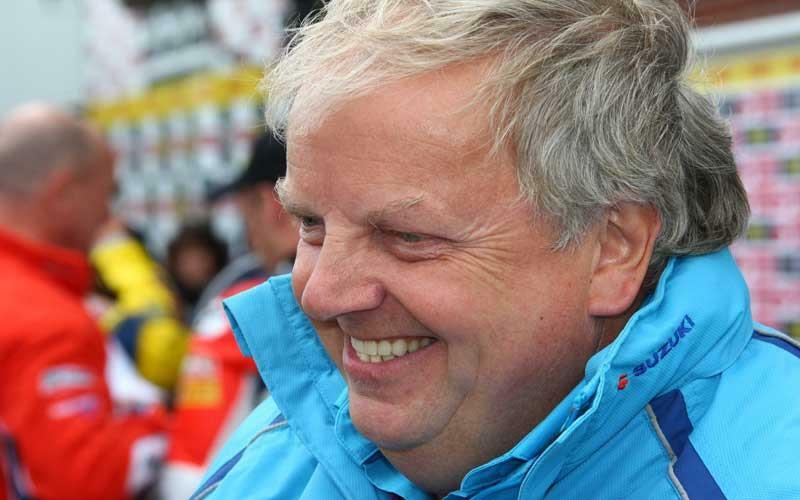 Rizla Suzuki Team Manager Jack Valentine has high hopes for round eight of the British Superbike Championship following the incredible double win they took at Oulton Park last time out. Tom Sykes not only scored his first ever BSB career win at Oulton over two weeks ago, he walked away with the full fifty points at the Cheshire circuit. And Valentine said he wants to build on the last BSB weekend’s dominance and a brilliant wildcard showing at Brands Hatch in World Superbikes last week. “Tom has been riding exceptionally well and our Rizla Suzuki is on song so I’m expecting a good result this weekend,” said Valentine. “Knockhill is a twisty and demanding track and I believe that our chassis will be ideal for it. Sykes, who finished seventh in the second World Superbike race at Brands Hatch last weekend is also in confident mood. And his liking for the 1.27 mile circuit could see a repeat of his Oulton Park performance. Sykes said: “I like Knockhill it is not a bad circuit for me. “The surface is decent and it’s a good track. It is really demanding circuit as you get no rest on a lap with all the flip-flop parts and the short straights. As for Sykes’ team-mate, Atsushi Watanabe, Knockhill is yet another circuit the Japanese Superbike Champion will have to get to grips with. But a brilliant performance on the Yoshimura Suzuki at Suzuka two weekends ago, finishing second, will give him some extra get-up according to Valentine. He added: ““Atsu is going to be in at the deep end again this weekend as Knockhill is a difficult track. “He had an excellent result at Suzuka and he is fired up from being back on the podium.